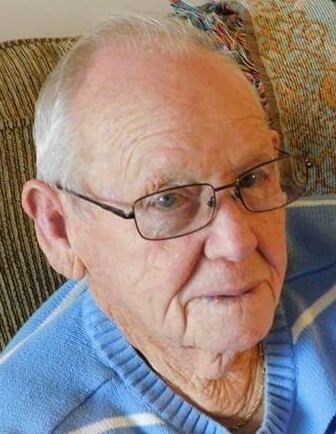 Harold Edward Short, age 85, of DeGraff, Ohio entered into the arms of God Tuesday, September 4, 2018. He was born in Flatwood, Kentucky August 14, 1933, the son of the late Orville and Clara (Keeton) Short. In addition to his parents, he was preceded in death by a son, Ronnie Lee Short; a daughter, Sandra Smith; brothers, Curtis Short and Raymond Short and sisters Freda Short and Anna Waugh. He is survived by his loving wife of sixty seven years, Ruby (Burke) Short; a son, John Edward Short of Crescent City, Florida; three sisters; Betty (Leonard) Slayers of Ashland, Kentucky, Delores Franklin of Flatwoods, Kentucky and Joan Dearman of DeGraff; two daughters-in-law, Lori Short of Huntsville, Ohio and Angie Short of DeGraff; five grandchildren, Ronnie Short II, Alan (Mindy) Smith, Douglas Smith, all of DeGraff; Joshua (Diane) Short of Quincy, Ohio, and Natasha (Steve) Hamby of Haines City, Florida; ten great-grandchildren, Aubrey Short, Andan Short, Addison Short, Courtnie Smith, Dylan Smith, Carson Copas, Jonathan Short, Layne Short, Landon Hamby and Grayson Hamby; a step granddaughter, Andrea (Mike) Schmidt; eight step great-grandchildren, John, Katy, Jessica, Caleb, Austin, Gabrielle, Annika, and Vaughn and many nieces and nephews. Harold was a member of the DeGraff Free Will Baptist Church and began his career working for Hopewell Dairy in Bellefontaine before going to work for Super Food Services where he retired from. He enjoyed raising a garden, mowing the yard and yard work, fishing and spending time with his family. Deacon Mike Idle will officiate a graveside service at 3:00 P.M. Wednesday, September 12, 2018 at the Greenwood-Union Cemetery in DeGraff.